During this wonderful time of the year, most of us take for granted our warm homes and the ability to walk into our kitchens and prepare a holiday meal for our loved ones. It is important to remember that not everyone enjoys the abundance that we do. The employees of Legacy Trust consider it a privilege to give back whenever possible. As we continue to honor our commitment to give back to the community, we have partnered with Family Promise of Grand Rapids to provide Christmas Stockings filled with all the trimmings for the children being served by this organization. 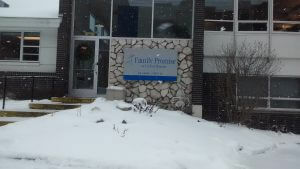 Family Promise of Grand Rapids helps families meet critical basic needs, such as shelter, food and clothing. The mission of Family Promise is to end homelessness, one family at a time. We are proud to partner with them as they pursue their goal of ending homelessness and we are delighted to have such enthusiastic participation from the Legacy Trust team.